NOW Where am I? HERE ! Then go back to sleep. Get up at 9:00 tomorrow. Where am I ?? Here ! What time is it? Now ! Try 4:32 three weeks from next thurs. Kianna Alarid’s sound bath performance is a meditation in and of itself. Presented as surveillance footage, Alarid is cloaked in gauzy white fabric while she chants her mantras to a bowl of water. Originally performed as part of a larger installation by Ben Kinsley, Alarid was one of five performers who used sound to influence the energy of a hand­blown glass bowl full of water. These musical enchantments were an attempt to create a beacon of energy to attract attention from parallel universes. Rachel Cohn’s humble forms take on monumental narratives of shared experience and collective energy. Her recent sculptures are recreations of personal experiences over time and in different cultures: a seance at the Spiritualist Church in Manhattan, NY, a sauna in Copenhagen, Denmark, a conversation at a flea market in Richmond, VA. Cohn’s work investigate memories of vivid moments of connection, exploring shifting identity within new social contexts, and changing cultural norms for social behavior. James Juszczyk’s paintings result from the interaction between concepts taken from Constructivism, Zen Haiku, I Ching, and Perception Theory. Emphasizing qualities of geometric order and structure while experimenting with color and light, Juszczyk’s subtle and diverse compositions of chromatic fields and veils create a sense of silent visual pleasure. 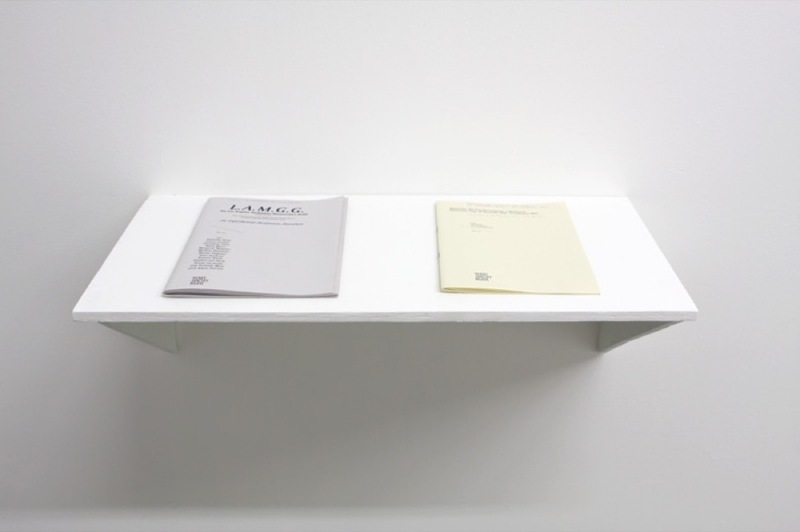 Veranda Moot and the L.A.M.G.G.’s respective pamphlets provide a glimpse of meditation from the creative and textual vantage of the guru. Moot’s pamphlet, Wikipedia: The Free Encyclopedia // Meditation ￼￼(Discussion Page, 29 December 2010–27 February 2011) highlights a verbatim debate between several Wikipedia gurus, simmering beneath the surface of the website’s entry for “Meditation”. Conversely, the L.A.M.G.G.’s An Experimental Meditation Marathon features a collection of experimental meditations written by a dozen experimental poets, writers, and artists, and that were led over a period of 10 hours at The Experimental Meditation Center of Los Angeles. While Moot’s work presents the fiery efforts to define and rein in meditation, the L.A.M.G.G.’s aims to creatively open and expand the definition. These experimental meditations blur art, text and life, and urge the participants to meditate on meditation. In Mónica Palma’s drawings, compulsive TV watching and Internet surfing are mixed with the sounds of prayers and the visual memories of her mother’s crochet patterns. In each work she chooses a system of mark­making with a specific pressure, creating surfaces that are records of repeated events and sounds. The everyday use of technology and the memory of Mexican rituals come together as if both were part of a common anxiety and desire. 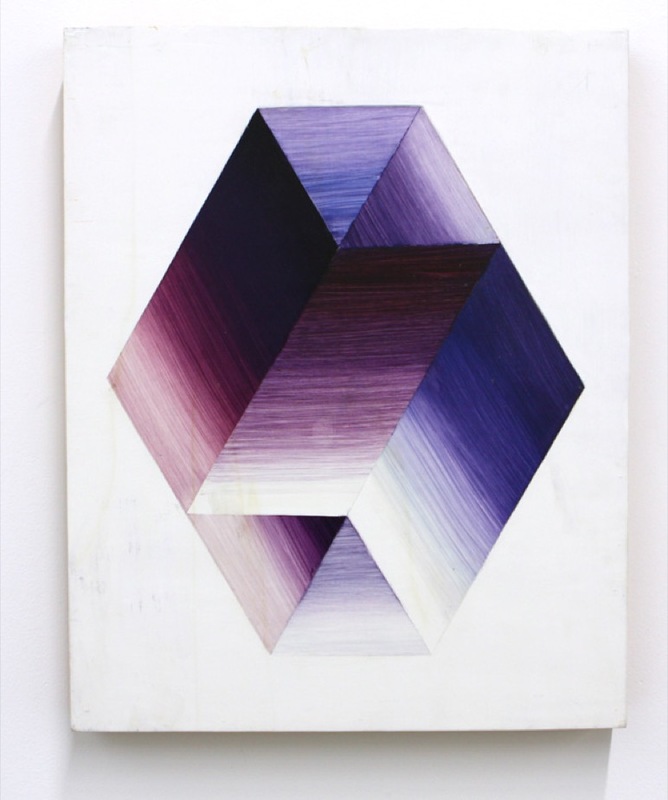 Alexis Semtner’s variations on cubes, triangles and hexagons animate a play between the mind and perceived reality. The artifice of painting and the constructed illusory images within a painting parallels the constructed nature of our reality. Forms refuse to be defined by space; they are suspended; they recede and pulsate in or out of the environment around them. They are platonic, existing in the realm of the ideal. Central forms appear stationary on first glance, when activated by the viewer’s perception they begin to fluctuate. The perceiver reevaluates the limitations and potential of the perceived. 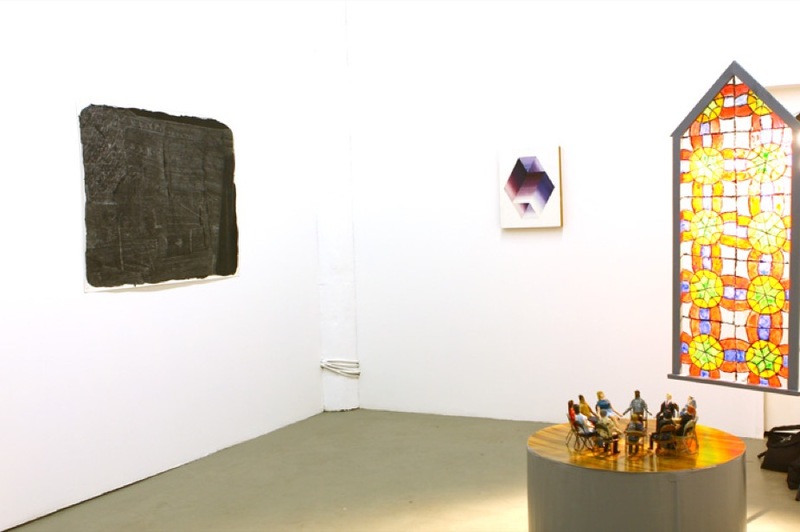 This exhibition is curated by Ortega y Gasset Projects member, Jessica Langley. Kianna Alarid (Kansas City) is the lead singer and bass guitarist for the world renowned indie­rock band Tilly and the Wall from Omaha, Nebraska. She is a certified yoga instructor, a Magick Dojo, a mother, and bringer of joy. 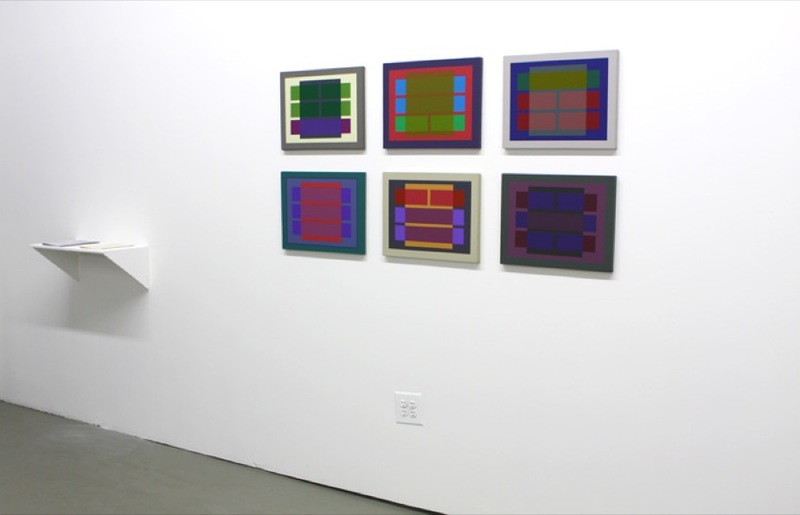 Ben Kinsley‘s (Brooklyn) work has been exhibited internationally at venues such as: Cleveland Museum of Art; Museum of Contemporary Art (MOCA) Cleveland; Bureau for Open Culture; Mattress Factory Museum, Pittsburgh; Flux Space, Philadelphia; Katonah Museum of Art, NY; Green on Red Gallery, Dublin; Centro di Cultura Contemporanea Strozzina, Florence; La Galeria de Comercia, Mexico City; and Catalyst Arts, Belfast. He has participated in numerous artist residency programs including the Skowhegan School of Painting and Sculpture; Bemis Center for Contemporary Arts; Skaftfell Art Center, Iceland; and Askeaton Contemporary Arts, Ireland. Rachel Leah Cohn (Richmond) has exhibited in the US and abroad, including shows at Brattleboro Museum and Art Center, Vermont, White Box Gallery, New York City, Reynolds Gallery, Richmond and Gallery Augusta, Finland. She has been an artist­in­residence at Vermont Studio Center; CAC Woodside in Troy, NY and HIAP Suomenlinna, Finland. She received her BFA from the Rhode Island School of Design in 2005 and her MFA from Virginia Commonwealth University in 2013. Currently, Rachel teaches drawing and time­based media in the Arts Foundation Program at VCU. James Juszczyk (Bronx) was born in 1943 in Chicago Illinois. He was a student of Julian Stanczak and Piero Dorazio, having received his BFA from the Cleveland Institute of Art in 1965 and MFA from the University of Pennsylvania in 1969. He has maintained a deep interest in and commitment to the principles of nonobjective, geometric painting and is a member of the American Abstract Artists. Since 1974, his paintings have been exhibited extensively in museums and galleries in both the United States and Europe. Juszczyk received a Pollock­Krasner Foundation grant in painting in 1995. He is currently on the faculty at the City College of New York teaching Foundation Theory and Color and offers a course in Foundation Drawing the New York City Technical College. Veranda Moot is a poet and plagiarist from Los Angeles. The Los Angeles Meditation Ghostwriters Guild (L.A.M.G.G. ), established in 1955, is the world’s leading one­stop shop for all your meditation authoring and consultation needs!! The L.A.M.G.G. has been turning desperation into inspiration for over 50 years, and is ready to help you glow again. Mónica Palma was born and raised in México City. In 2005 she moved to Richmond, Virginia where, after a year of living, she entered the MFA Painting and Printmaking Program at Virginia Commonwealth University. Palma has exhibited at such places as Galeria de la Biblioteca Carlos Fuentes in Xalapa, Mexico, Denise Bibro Gallery in New York, and Appetite Gallery in Buenos Aires. Since 2008 she has been living in Crown Heights, Brooklyn, where she also keeps a studio a few blocks from her apartment. Alexis Semtner (Brooklyn) received her BFA from the Kansas City Art Institute followed by an MFA in painting from Virginia Commonwealth University in 2008. 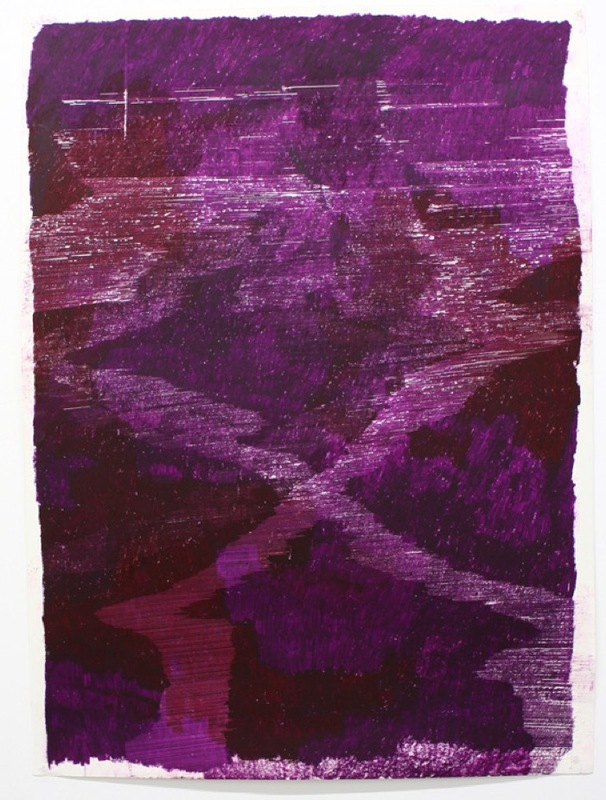 Semtner was an artist in residence at the Vermont Studio Center in 2009, and a visiting artist at the University of Tennessee in 2010. She has exhibited at such places as Double 6 in Brooklyn, La Esquina in Kansas City, Fresh stART in Santa Monica, and Mahan Gallery in Columbus. Semtner was featured in issue 80 of New American Paintings, and currently lives and works in Brooklyn, NY. Jessica Langley is an artist whose work draws from idealized nature photography and Romantic landscape painting, abstracting and obscuring images through a variety of processes and approaches. She has exhibited nationally and internationally at venues such as SPACES in Cleveland, Nathan Larramendy Gallery in Ojai, Denise Bibro Gallery in New York, Parse Gallery in New Orleans, Skaftfell Arts Center in Iceland, La Galería de Comercio in Mexico City, Kallio Kunsthalle Taidehalli in Helskinki, and Askeaton Contemporary Arts in Ireland. Jessica earned her MFA from Virginia Commonwealth University in 2008 and was awarded a J. William Fulbright Grant for research in Iceland from 2008­2009. She currently lives and works in Brooklyn, NY.